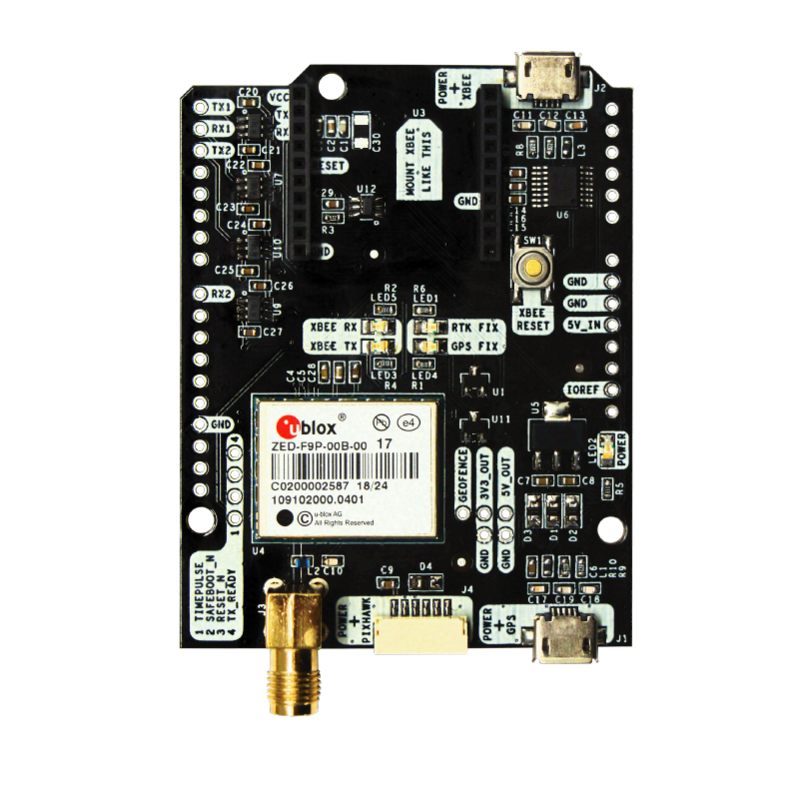 simpleRTK2B is a standalone board that allows to evaluate dual band RTK GNSS technology. It’s based on u-blox ZED-F9P module and is fully compatible with Arduino and STM32 Nucleo platforms, as a shield. – This product is compatible but doesn’t include multiband GNSS antenna, which is necessary to use the product. – This product will not give good performance with a standard GNSS antenna, requires a multiband one. – This product is compatible but doesn’t include radio, which is necessary to connect to another base. – This board is recommended if you want to test u-blox ZED-F9P performance.